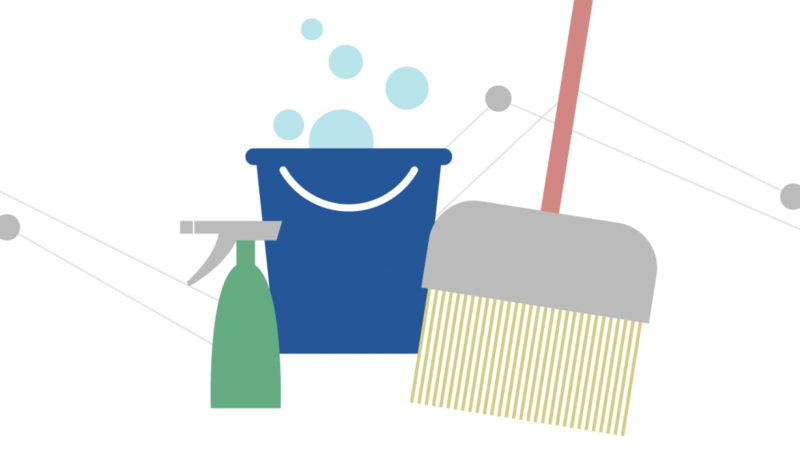 As a marketer, it’s very common to not have the time or resources to keep your GA and GTM implementation clean. Too often, we save a bunch of housekeeping tasks for a rainy day. Think about this and compare it to your own home. It doesn’t matter who in the household you are. It doesn’t matter whether you are single or have a family of five. And finally, it doesn’t matter if you live in a tiny pop out camper or in a mansion with a pool. There are things that have to be done in your home in order for you to have a safe and productive life at home. The same goes for your Digital Analytics world. Google provides some incredible FREE tools such as Google Analytics and Google Tag manager. They are very easy to use, but they are not “set it and forget it” type of tools if you want to use the information successfully. It’s time for you to clean house or find someone to do so. I have five topics that may seem very basic, but coming from the client side to the agency side I feel that they are very important for us to take seriously. Take action now if you’re not doing so already. Think of this as your once-a-year spring cleaning. Although, if you have the resources, this could be done quarterly. The quickest check I like to perform is to log into the Site Content section in Google Analytics and look at the page names. Note: When looking for the existence of PII, you need to look at an unfiltered view. Thus, you are reviewing ALL of your data that is collected by GA.
“Not Set” – Some not set is unavoidable and even expected. However, “not set” should not be your number 1 landing page. Review all of the out of the box reports for anything showing up as “Not Set”. Again, I will send you first to the Site Content section but this time to check your Landing Pages report. Goals – Do your “Goals” in Google Analytics match your current-year business goals? I wish I had a dollar for every time I heard a Marketing Manager look at their GA setup and then say, “We don’t really use those goals anymore. They are outdated.” Having goals set up outside of your event reporting helps you see critical information. One clear advantage that I see with using Goals in GA is that Goals are available in certain reports where you can not report on events. Account Setup – Please review the list of users who have access to your Google Analytics. Are there gmail addresses in your list who are no longer employed at your company? Click Admin, and navigate to the desired account. In the Account, Property, or View column, click User Management. Use the search box at the top of the list to find the user you want. Enter a full or partial address( e.g., janedoe@gmail.com or janedoe). Select the check box for each user you want to delete, then click REMOVE. More information on adding and editing user permissions can be found here. Back to the housekeeping analogy, this is like a quarterly window wash where you use a little glass cleaner as needed. The best part is that it’s automated. You can set up alerts and receive emails on the frequency that you desire! At the very least, you should set 3 alerts in GA. These three metrics should be a KPI that someone other than the manager is also responsible or accountable for. I will speak to this a little later. Click CUSTOMIZATION > Custom Alerts. Alert name: Enter a name for the alert. Q: Why would you want an alert on something like bounce rate? Trend out your bounce rate over about a fiscal quarter. What is your average? If it floats somewhere around 45%, set up your alert to check the previous day’s data for a bounce rate higher than 50%. When it hits 50%, it will automatically alert you via email or text. Then, when you get the alert, log into GA and look at your acquisition reports. Check your traffic and bounce rate for each high level marketing program. Another example is how you can check for outliers. You can set up an alert on a KPI to notify you if/when your sessions are less than or greater than 5% difference from a previous time period. The percentage and time period you select all depend on your site and what you would consider as an outlier. Here is more information from Google Support if you want to read more. What is a good way to find out the latest news about your competitors? Google can tell you in an automated email and they’ll do this for FREE! You can also use Google Alerts to find out what is being said about your own company or brand. You may be asking, “How do these alerts help with my digital housekeeping?” These alerts will save you time researching competitors and what is happening in the industry. If you read something about how your competitor just met quarterly earnings and used X, Y and Z as their KPI’s, it will spark a reminder for you to compare those same KPI’s and make sure your tags are performing as expected. Type in your company name or the name of a brand that you consider a competitor. In my example below, I will type in my Company Name, Analytics Pros. You can setup these alerts to email to you as they happen, once per day, or once per week. If you click on pencil/edit icon, you can see the details. Who is or are the housekeepers in your Digital Analytics house? Is the RACI acronym overused at your company? In my opinion, it can’t be overused. Your company has to define who is Responsible for the tags? Who is responsible for looking at specific reports in GA on a regular basis? Your company has to define who is Accountable for your tags and GA data. If this has changed owners multiple times over the last year or two, it may be time to hire some help. If the owner is not technical or is not using the GA data on a daily basis, it is time to find someone who can assist with that. In a perfect world, every company would have at least one person closely monitoring the KPI’s in GA. You could also assign a report owner for each section of GA. When companies are not happy with their Google Analytics implementation, more often than not, these companies can’t identify the person or people who are 100% responsible or accountable for the tools. Accountable: person who is ultimately accountable and has Yes/No/Veto. 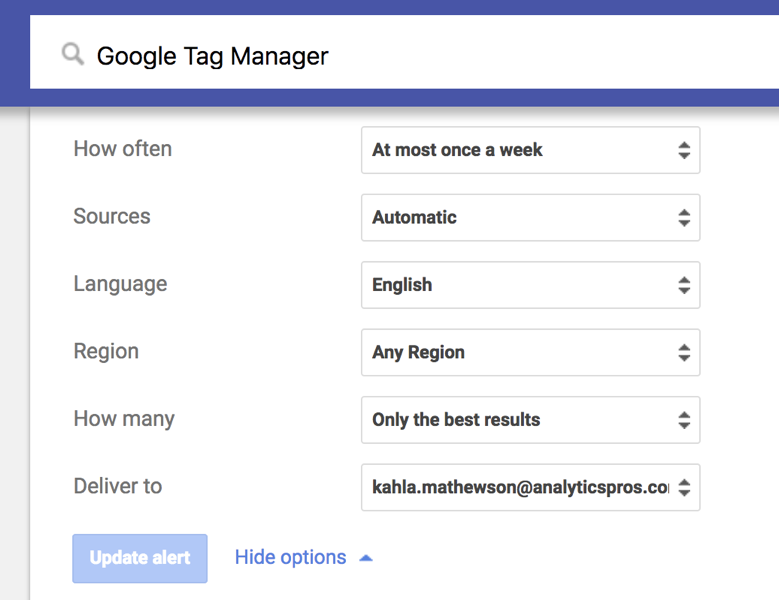 Last but not least…get assistance if you’re responsible for your GA implementation but don’t have time to keep up with the latest and greatest in Google Analytics. At Analytics Pros, we can provide a full Health Check Audit for you. The value that our full audit provides is an investment worth making. The ROI of preventing PII violations alone can be substantial. If you’re interested in an audit of your GA Account, please contact gethelp@analyticspros.com.